The low success rate in organizational transformation and the organizational inability to positively move the dial on the success rate over the years is a strategic problem. Organizational transformation is the complex endeavor of redesigning the organization which significantly impacts all or most aspects of the business. Per the 2014 McKinsey research study of 1323 companies involved in organization redesign, less than a quarter of those transformation efforts succeeded. The success of strategic transformation is gauged by the attainment of strategic objectives, improved organizational performance, and sustenance of the business change. The silver lining in that organizations have overcome this business challenge. Organizations with higher success rate in large-scale transformation initiatives have steadily built and improved their ability to do so. They have planned, designed, executed, and sustained organizational transformation in a holistic, structured way. These high-performing organizations have integrated and aligned the six dimensions of strategy, people, process, technology, structure, and measurement to realize the transformation success and reap the planned business value. These organizations have developed strong transformation capability. Another key characteristic for a successful organizational transformation is an active, end-to-end, and comprehensive leadership. The extent, level, and nature of leadership on an organizational transformation that redesigns the entire business or significant parts of the business is a key determinant of the transformation success. Transformations are typically cross-divisional, cross-functional, and intended to make significant changes to the business. Given organizational matrices, work complexities, and corporate politics, the transformation team relies heavily on leadership traits to secure support, overcome barriers, resolve escalated issues and manage risks across organizational divisions, functions, and levels. Leadership in analyzing and communicating the impact, securing stakeholder but-in, reinforcing the long-term commitment, and sharing the benefits of transformation with all stakeholders is paramount. Leadership on both fronts, the technical and human, is essential for the entire duration of the organizational transformation. 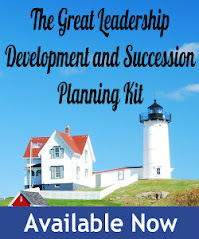 The lack of a leadership structure and comprehensive leadership significantly jeopardizes the purpose and strategic objectives for embarking on the transformation. Organizational transformation leadership is a critical success factor for strategic objective alignment, integration of the six dimensions mentioned earlier, stakeholder engagement, organizational change readiness, and business value realization. Leadership in actively and effectively engaging with key stakeholders and sustaining their buy-in ensures the expected business outcomes are realized at each phase or stage gate of the organizational transformation. The business need for proactive leadership across all the impacted organizational areas and from the beginning to end of organizational transformation is critical. Without a multi-level and holistic leadership approach, transformation will inevitably be a failure by it not accomplishing the business objectives and improving organizational performance. An organization transformation leadership model has to be architected and implemented upfront to effectively confront cross-divisional, cross-functional, and cross-level barriers and challenges. The organization structure model details the reporting structure and governance practices for the transformation to redesign the organization and transition it from its current to future state. The leadership model complements the organization structure model and enumerates the leadership structure. 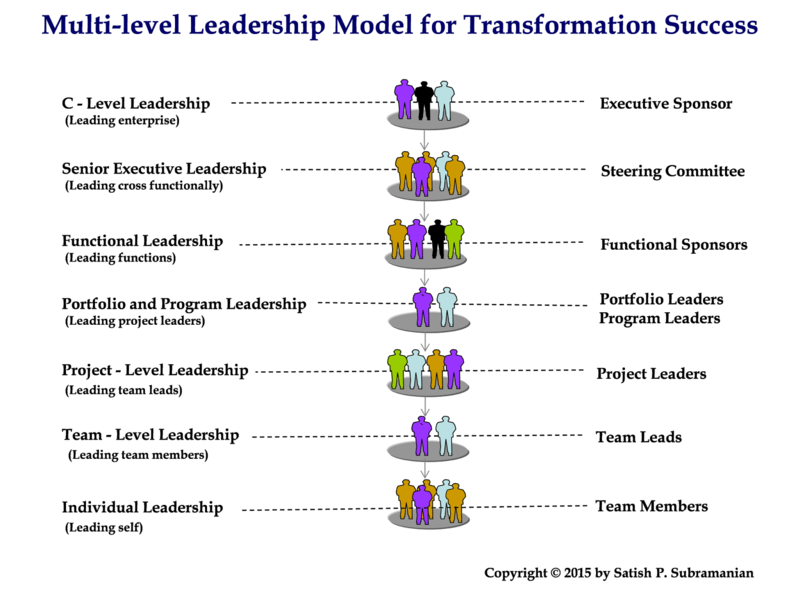 The multi-level leadership model for organization transformation spells out leadership at each tier of the transformation program organization structure. In addition, it factors the varying styles and levels of involvement of leadership is needed from the beginning to end of the transformation odyssey. The holistic leadership model addresses the leadership needs on all fronts – multiple organization levels, organizational functions, divisions, and geographies. The below illustration delineates the multi-level leadership model that has enabled many executives to successfully get to the finish line of an organizational transformation marathon. Leadership on organizational transformation cannot reside just at the highest levels. The business context, leadership scope, leadership level of influence, and style at each organization level are different. The leadership responsibility and accountability at each level is clearly articulated. The design, socialization, and deployment of a multi-level leadership model ensures the leadership needs for a successful organizational transformation are met. Effective organization transformation leadership is a “must have” for transformation success. The transformational change that organizational transformation is driving requires cross-divisional, cross-functional, and cross-level leadership to realize the transformation purpose, change vision, and sustain business outcomes. The significant business change initiated by transformation heavily impacts a large number of stakeholders at different levels and the entire organization. Organization transformation leadership and the right leadership model is the secret sauce for organizational transformation success. 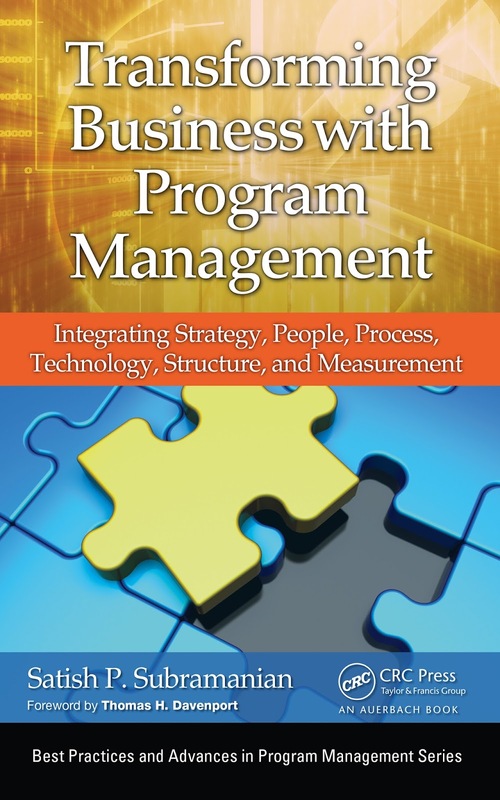 Satish P. Subramanian is author of the new book, TransformingBusiness with Program Management Integrating Strategy, People, Process, Technology, Structure and Measurement. He is also a Principal at SolomonEdwards. He has spent over 25 years as a leadership consultant in management and technology, and worked with many Fortune 500 companies in the health care, financial services, technology, and manufacturing industry sectors. He has also held executive-level positions at Ernst & Young, Infosys, Point B, and Cambridge Technology Partners. Subramanian holds a degree in Industrial Engineering and MBA from the University of Mumbai and an MBA from California Lutheran University. He is Program Management and Project Management certified by the Project Management Institute and Change Management certified by Prosci.